Fragaria alpina fraise de bois, no this is not your high school French class, this is the name of the alpine strawberry, a strawberry with an intense sweet taste. Although I haven't purposely grown them for a few years, I still find them in the garden. They do reseed themselves around, but they don't send out runners. Perfect plant for the backyard food grower, you can grow the red-fruited or yellow-fruited kind. Both are as sweet as candy. The downside is the fruit doesn't keep well, so you have to pick them and eat them right away. Fresh and sweet, what could be better than that? With the latest craze about growing your own food, this easy care edible fruit plant is a must for every beginning gardener. Alpine strawberries are a perennial crop that tucks conveniently into containers, and looks right at home in the ornamental garden. It's actually a pretty good looking plant, I took these photos of a bank of them at a garden located on the Hood Canal. It makes a handsome ground cover. Slugs like the fruit, so it can be a race to beat the mollusk to the harvest. 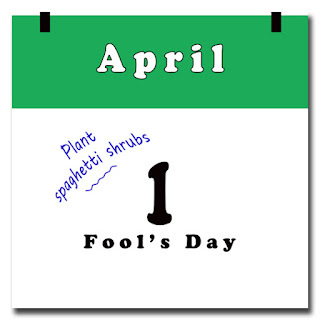 That's the only problem these plants had in my garden. I think it's time for me to hunt down and round up the stray seedlings around my garden and bring them together again as another food source. The longer I live in my 100 year old house, the more I appreciate the antique flowers that surround my property. The iris, the ones that were here when I moved in fourteen years ago and the ones I have bought in the ensuing years, are exceptional this year. Iris have been in cultivation for hundreds of years. There are upwards of 300 species in the genus. I. Pallida, also known as sweet flag, has been in cultivation since 1597, if not even earlier. It has been used for centuries to make perfumes and medicines. The fleur-de-lis, a stylized iris, was used extensively in many family coat-of- arms and also figures prominently in modern day flags of many European countries. 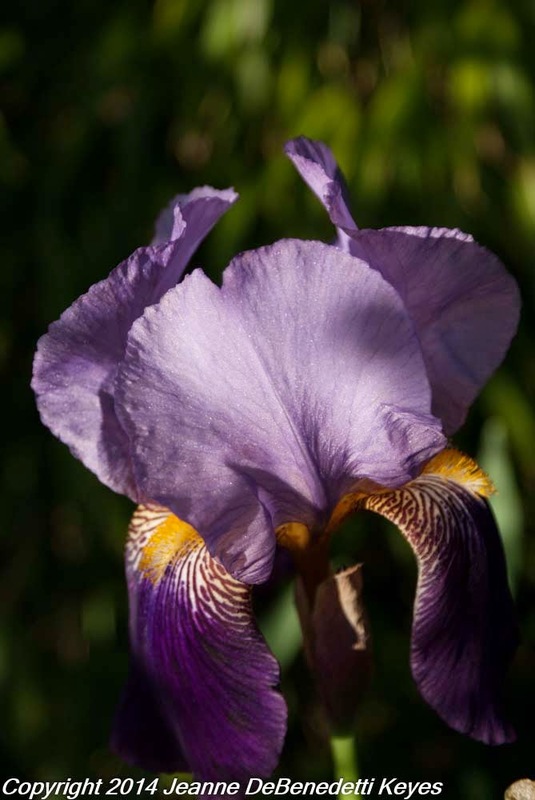 The standards, the upright petals, of this iris are the same light lavender color as the falls or the lower petals and has a wonderful “grape” fragrance. The petals are smooth and simple in shape, unlike some of the frilly, modern cultivars. Here is another antique iris from my garden . I was curious what the cultivar name was and when it became available. 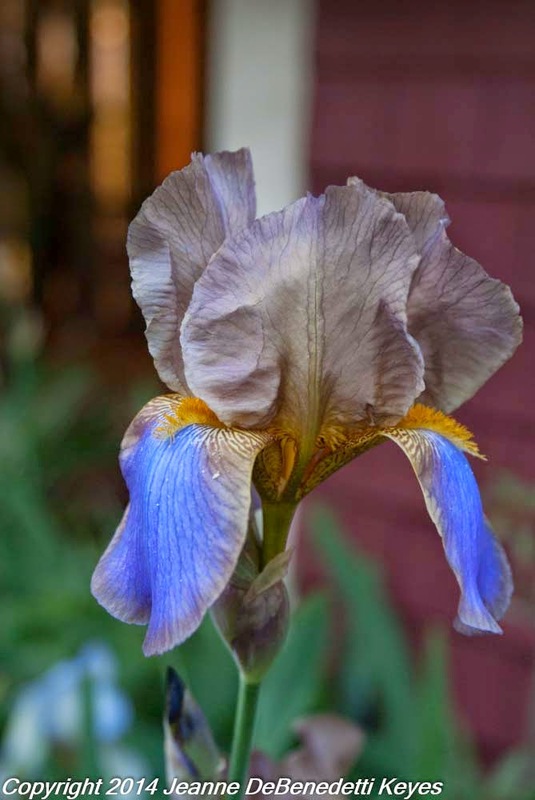 The Historic Iris Preservation Society (HIPS) has a wonderful photo gallery. I wonder if this is I. ‘Amas’, known to be one of the first tetraploid Irises to be widely circulated. According to HIPS, it has used extensively in early irisbreeding. I. ‘Amas’ was originally collected in Turkey in 1885. This iris could also be ‘Alcazar’ which was introduced in 1910 or ‘Ambassaduer’ , introduced in 1920. All three iris have similar stripes and prominent “beards” on the top part of the lower petals. 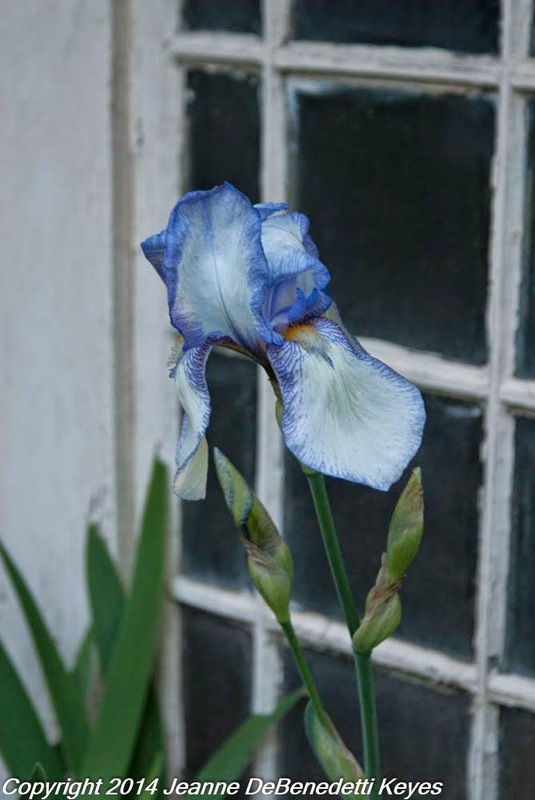 You can see this iris around many of the older homes in Portland. Here’s an interesting iris. Again, probably an antique with its simple petal shape. The standards are truly a beige or smoky topaz color with the falls a medium lavender even though in my photograph, they appear more blue. The iris in the photograph below, is also more purple in color. I like how the color is just around the edges almost as if it had been dipped in blue dye. Both have bright orange “beards” and interesting striations which appear to be common to iris of this age. Tall beared iris, I. Germanica, are the tallest in the iris family ranging from 28 to 48 inches. Many of the modern varieties have frilly petal shapes or sport spots or picotee patterns. Hybridizers have also developed iris in almost every shade of the rainbow, including a true black. Iris are very cold hardy and appreciate full sun and dry soils particularly during summer dormancy. 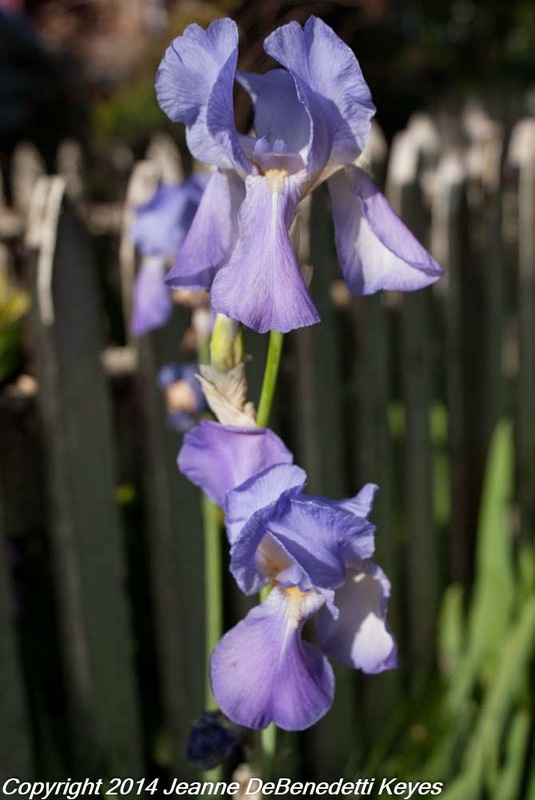 Although thought to be classic cottage garden plants, with interesting lance-like foliage, simple, antique iris such as these would also work well among agave, yucca, and cacti in a xeric garden. I know this spring has been stormy and cold. However, I'm not writing about the weather, I'm enjoying my "clouds" in full bloom in my entry garden. Out of the variegated foliage, a significant drift of Saxifraga London's Pride (Saxifrage x urbium 'Variegata') shoots up long stems covered in tiny white flowers. I planted this perennial on top of a rock wall in the shade of a plum tree. It took over the top of the wall and cascades handsomely down the side. This is a favorite perennial for me; its fantastic foliage looks great all year round. In late spring, drifts of small flowers appear over the leaves, textural contrast to the Hosta 'Stained Glass' and Primula viallii nearby. This entry garden contains a fun combination of foliage and flowers that ushers in summer. After the flowers finish, I pick the stalks with my hands, and the brittle stems break cleanly off the rosette. The foliage is enjoyed the rest of the year. If Mae West had been more interested in container gardening than she was of men, she’d be famous for saying, “So many plants, so little time.” When challenged to come up with a few of my favorite container plants, I gave my best West impression and decided it was almost impossible to accomplish. Look. Containers are an empty canvas waiting for us to produce a pleasing combo of marrying a plant to a pot, or committing plant polygamy — layering plants to overflowing into one container. What I like about this kind of gardening, is growing something I am reluctant to put in the open ground, but wouldn't hesitate to plop into a nice pot, like tender perennials and gorgeous tropical plants. But can’t stop there when there are plenty of hardy shrubs and trees that are fantastic when put in confinement. The versatility of container gardening is only confined to our imaginations. So, for me to just choose five preferred plants for container growing is hard, especially when every year I vow not to plant too many containers, and every year I find myself surrounded by them. Sigh, I'm incorrigible and always end up with too many, but I love them, every single one. So here I go with five I have used often in the past and will most likely grow again. Daffodils, daffodils and more daffodils-no particular cultivar or species, I want to plant them all. I love packing them into a pot for a riot of strappy leaves topped with bright cupped flowers. Three blind mice, three blind mice, see how they flower, see how they bloom. I want to reach down and tickle their little mouse face blossom. However, they're not mousy, they're little charmers and great annuals for containers; pronouncing their name even conjures up cuteness—KOO-fee-uh. Anything with purple foliage makes it a favorite by default. This purple heart adds foliage interest as well as pretty little lavender flowers cradles in its leaves. It is beautiful with or without flowers. This ornamental oregano covers a pot, swinging its pink trusses around like a Hollywood hussy, and is one of my favorite hanging basket stars. This taro plant is an elephant ear I can never forget. I grew them year round when I lived in Hawaii, but only in the ground. Once I found out this moisture lover did great in containers, it felt like a bit of Hawaii came back to me. What is the best part of gardening? Is it the sweat equity put into the landscapes or merely being able to stroll through it? Is there anything that comes close to stepping into our own-made paradise, beverage in hand, dipping the nose into flowers with delicate fragrances? I imagine there are as many reasons why we love gardening, as there are gardeners. For some, it may be a status symbol or the thrill of the hunt and a collection of rare plants. For others, it is a connection to the land and nature. Me? I like getting dirt under my fingernails. I love sitting on the steps of the front porch surveying my plant kingdom, tea in one hand, and an arm wrapped around Kono, my Australian shepherd dog. This is the office where I plan the next creative strategy. Move this plant here; plant another one there, while imagining how the garden bed will look when it is finished. This is where I make decisions about ripping out an inappropriate plant or reassessing the mature garden and tweaking it to be even better and easier to take care of. The garden is also my laboratory where I perform experiments; when I make mistakes, learn how to correct them. It is a place where I push the limits of proper plant placements and observe the outcome. But it's more than that. Gardening seems to fulfill a need in me to connect with the earth; where that need comes from is elusive. When I am away from it too long, it pulls me back. Some invisible thread is wrapped around my soul, constantly tugging at me, reminding me where I find fulfillment. My garden is the place I go for refuge and renewal. I'm an artist, and the garden is my ever-changing sculpture. This place gives me food for my body while nourishing the spirit. It teaches me patience and how to share with other creatures, and when they get out of hand, how to let some things go. Any true gardener knows the yearning that tending the soil and its inhabitants satisfy. Rhododendron occidentale is a stunning native shrub. One of the loveliest rhododendrons on the planet, and it is a native to the Pacific Northwest and California. A choice native plant for our gardens west of the Cascades because of its beautiful markings. Almost every Northwest garden has some kind of rhododendron growing in its boundaries so why not include our native too? Difficult to grow outside the Pacific Northwest and California, Rhododendron occidentale it is found in thickets around moist areas, seepages and creek sides in the mountains and foothills along the Pacific coast of southwest Oregon to southern California. Professor Kruckeberg once recommended planting our native azalea in massed plantings, interspersed with evergreens. What a sight that would be, couple with its intoxicating fragrance. The western azalea, used extensively in breeding programs, is a parent plant for many highly sought after hybrids, especially for adding fragrance. Some of its offspring include ‘Delicatissimum’, ‘Exquisitum’, and ‘Irene Koster’. All won the Royal Horticultural Society's Award of Garden Merit. Although its progeny grows easily outside our region, R. occidentale itself is not easy to maintain outside our maritime climate.